Comment: In very good clean and unmarked condition. Very minor creasing otherwise fine. 3.23.19. 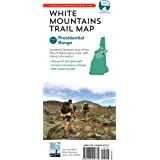 New Hampshire and Maine's Map of "the Whites"
Printed on waterproof and tear resistant material. 5.0 out of 5 starsGreat quality and lots of great info. 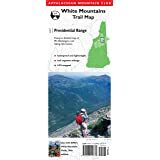 Contains detailed trail information for the White Mountains. 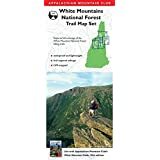 Just about every single trail segment has a mileage, which makes it really easy to calculate a route through somewhere like the Presidentials which have a lot of crisscrossing trails. It also lists all of the huts, campsites, shelters, etc. throughout the region. 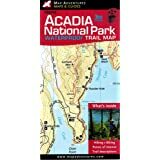 I was able to use this map very effectively to plan a backpacking trip through the White Mountains. Awesome map! I had I spent two days in the pouring rain with it mostly directly exposed and it held up great. I even dropped it in water. It is very accurate and easy to read. In fact one person was lost and I showed him my map and he noticed that my map showed a detail that his did not. An excellent map with good detail. The closeness of the colors between the differing political entities makes them a bit hard to distinguish at first glance, but that's about my only complaint. I haven't yet actually gone to the area the map covers so I can't speak to its accuracy. great map but not the whole white mountains ….some areas are missing. Good enough though for most folks. tough waterproof paper with mileages and huts etc. 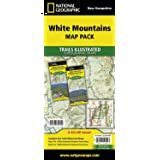 I used this map for a White Mountain hut traverse. It is very easy to read and has nice features like distances between sections and insets for areas needing more detail. For my pursposes all key names and details were there. With the front and back setup I only needed one map to cover the whole area... the AMC maps require 2 and will cost twice as much. Waterproof and highly recommended. 5.0 out of 5 starsVery detailed map. Easy to navigate. This guy is the gold standard in maps. Are there flaws? sure. It is heavy and large, but others have maps only of sub-areas of WMNF. With this, only one map is needed.